Wealth is of two types. One is private wealth that is owned by an individual like TV, house, gold etc. Only the owner has the rights to use them. Others cannot use them without the owner's permission. The other type of wealth is national wealth. The country's temples, monasteries, public taps, buildings, etc. are the examples of national wealth. The airports and roads of the country can be used by all. Police provide security to all the people. Schools, colleges provide education to all the people without any discrimination. Hospitals are built to take care of the health of the public. The National Museums, National Parks, Durbar Squares are the places which come under national wealth. Similarly, the temples such as Changunarayan, Pashupatinath, Budhanilkantha are also national wealth. They are the pride and glory of our country. Nepal is a country gifted by god. There are plenty of natural resources in our country. Mountains, rivers, lands, flora and fauna are the beauty of our country. 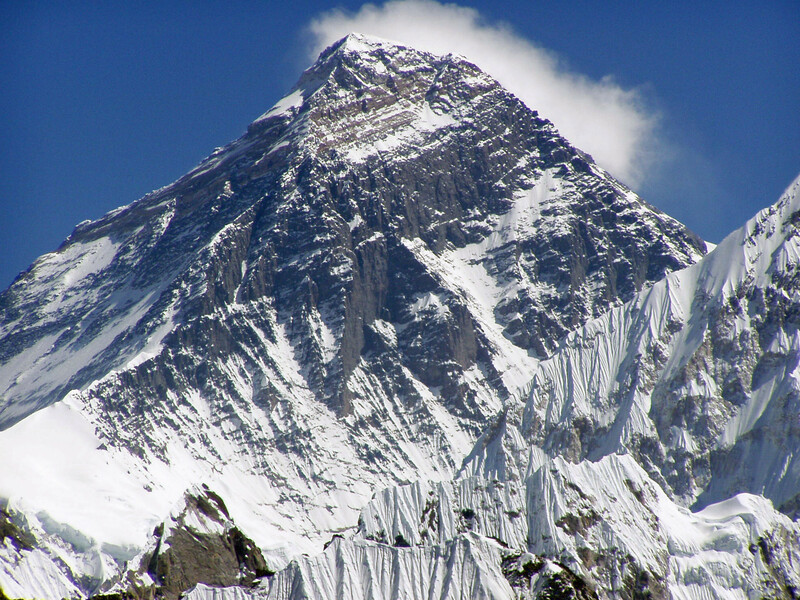 The Himalayas, with high peaks, puts our head high. The rivers like Koshi and Gandaki are also the gifts of nature. 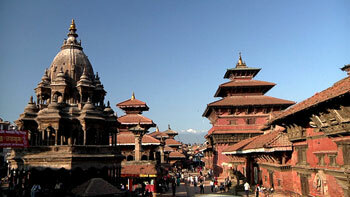 Nepal is also a historically and religiously famous country. There are said to be the places where sages lived and meditated. They describe the culture and civilization of our country as well as attract explorers to find out new things. Nepal has a large number of forests as well. It was said 'Hariyo Ban Nepal ko Dhan". All the cultural features and resources which are created, protected and promoted by our ancestor and handed to future generations are called heritages. Nepal is a country gifted by god. The National Museums, National Parks, Durbar Squares are the places which come under national wealth. The UNESCO has listed several sites of Nepal in the World Heritage Site. They are Pashupatinath Temple, Hanumandhoka Durbar Square, Patan Durbar Square, Bhaktapur Durbar Square, Changunarayan temple, Lumbini, Boudhanath Temple, Swayambhunath Temple, Chitwan National Park and Sagarmatha National Park. Why should we preserve the cultural heritage? Explain with respect to the geographical belt. The ecosystem is different according to the geographical belt. There is diversity in religious and cultural aspect in the life of the people of Nepal. The people pass their life by utilizing the natural resources of the environment. The nature aspects are interrelated with the lifestyle. The culture and religious heritages are related to the activities of human life. There is some difference in religious and cultural heritage in every geographical belt. There are many temples of religious importance in our country. They have their own values characteristics and cultural importance. What is the need of conservation of religious and cultural heritage? Field of research: They provide a most valuable lesson that are fruitful to the present and future generations too. The people of the country and outside are interested in the research in religious and cultural aspects. Creation of people: They are related to their lifestyle and social aspects. They reveal tradition, developments, arts and lifestyles of the ancient time. Job opportunities: The religious cultural activities are an attractive visit to religious and cultural sites. They will create job opportunities for the local people. Publicity and existence: The people of the other countries will be interested to know about Nepal. It gives importance to our religious and cultural Heritage. Explain the methods of conservation of religious and cultural heritage. The government should mobilize the local, nation and international organization in the conservation of the heritage by providing technical and financial supports to them. The need and importance of religious and culture heritage should be incorporated in the educational programmes. There is diversity in culture and religion, the people of one culture should respect the culture and religion. The historical and most valuable cultural and artistic items should be preserved in the museum. Different media like radio, television, newspaper etc. should be properly used to publicize the importance and ways of conservation of the heritages. Our society is rich in cultural aspects. Clarify its importance in four points. The total of the inherited ideas, beliefs, values, and knowledge which constitute the shared bases of social action is termed as culture. As Nepal is a multi-cultural country, it has a great importance of various cultural aspects existing in our society. They provide guidelines for daily life activities to lead a culture and advanced life. They are the sources of recreating tourism probability in the country focusing on enough income generation. They provide means and resources to support socio-cultural and economic activities that support the needs of life. They may be the sources of knowledge and research for the followers of different culture within the same country or beyond. Write your evaluation in short regarding the role played by the world heritage community to heighten the glory of our country. The world heritage community works for preservation and promotion of world heritage sites. They publicize issues for awareness creation and public participation. They enlist heritage sites as a prominent moment which promotes tourism in our country. This is also encouraged for development of infrastructure necessary for tourism development. Income generation and economic growth are promoted due to the development of tourism. Our identity has flourished in an international community. Define National Heritage, Make a list of our National Heritage that are included in the world Heritage List. The evidence of the past, such as historical sites, buildings and natural environment that has a great importance for future also is known as natural heritage. How can you say that 'Kathmandu Valley is rich in National wealth'? The state with the example. Kathmandu valley has a long religious history associated to that of Manjushree, who came from China and drained the water through Chobar. Since that it has been remained as an important place for dwelling. When it became suitable for human settlement, then many kings ruled here. They made attractive palaces, temples. Later on, the kings developed as a modern city. The rulers later built here statues, pillars, Dharahara, clock tower, parks Museums etc. All these things are important national wealth. What are the advantages of having National Heritage in one's country? The people of one's own country get known to their own natural, cultural, religious properties. The widespread information throughout the rest of the countries makes attracted to international tourists. Which of the following is not listed in world Heritage by UNESCO? Which of the following is not national wealth? Which of the following national park is listed in world heritage? Which of the following river is not located in Nepal? How can caves profit us? What does World Heritage Site protect? Difference between private wealth and public wealth? Differentiate between the private and public property. Any Questions on 'Our National Heritages '?